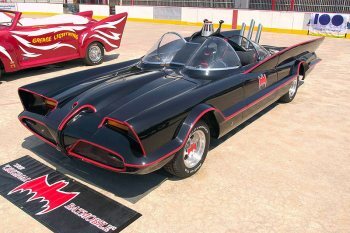 For the first time ever, the Batmobile from the 1960s television show is being put up for sale. For some of us, there's only one true Batmobile: the fearsome, finned, double-domed convertible monstrosity that prowled the streets of Gotham in the 1960s. There are few vehicles more instantly recognizable, and for the first time ever, the opportunity to own this bad boy is being made available to one and all. How much it will fetch is anybody's guess at this point, but you can bet it won't be cheap. The Batmobile will go on the block at the Barrett-Jackson Auction House on January 19.